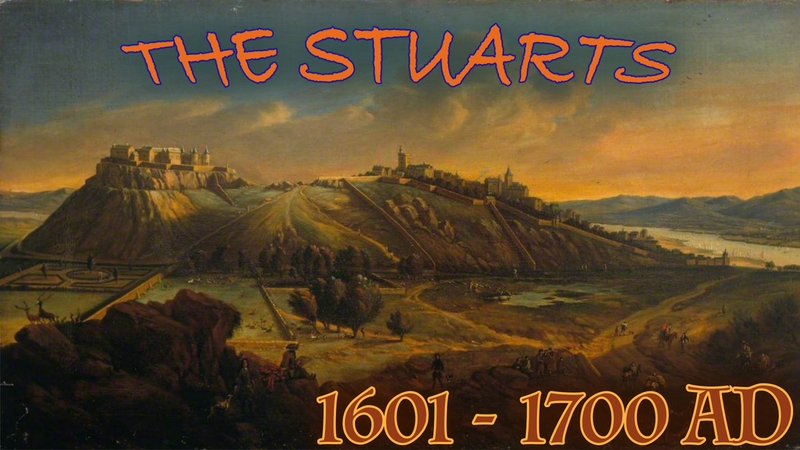 The Stuarts, an old Scottish family who, thanks to Henry VII marrying his daughter to a Scottish prince, had a legitimate claim to the English throne. What a time it was. We have people trying to blow up the king, a king trying to rule without parliament, a civil war and a king without his head and finally a country without a king. Then, a King comes back, a Catholic king holds office when a Catholic can't and parliament sends an invitation to a Dutch prince to come over and rule England. At the start of this period of history, the estimated population of England (to the nearest ½ million) was 4 million or 1,000,000, that's 1 million. houses on our strange method, explained in the Mesolithic Age introduction.